When it comes to metallic shades, it is impossible to go overboard. Soft and shimmery, metallic tones add warmth to your décor creating a welcoming feel. With this in mind, we can’t wait to explore the many ways you can incorporate the metallic of the moment in to your current décor scheme. 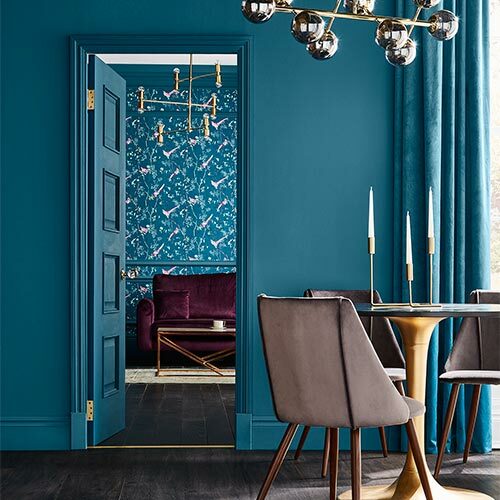 Copper elements add a touch of glamour to your home while being timeless and stylish, so here are our top tips for decorating with copper. Like neutral shades, metallics are brilliantly versatile. 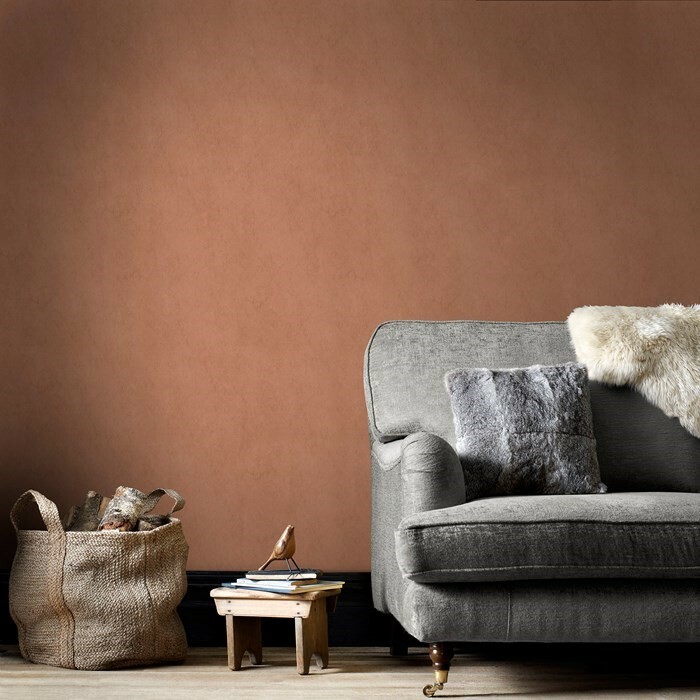 You can choose to combine metallic shades such as our tranquil copper wallpaper with complementary neutral tones to create a subtle shimming space. If you like neutral décor, copper tones are the perfect way to update your space without having to undergo a complete overhaul. A feature wall or a sprinkling of copper cushions is all you need to add a contemporary feel to a neutral room. Another way to decorate with copper is to create a dramatic contrast with a mix of darker shades and copper tones. 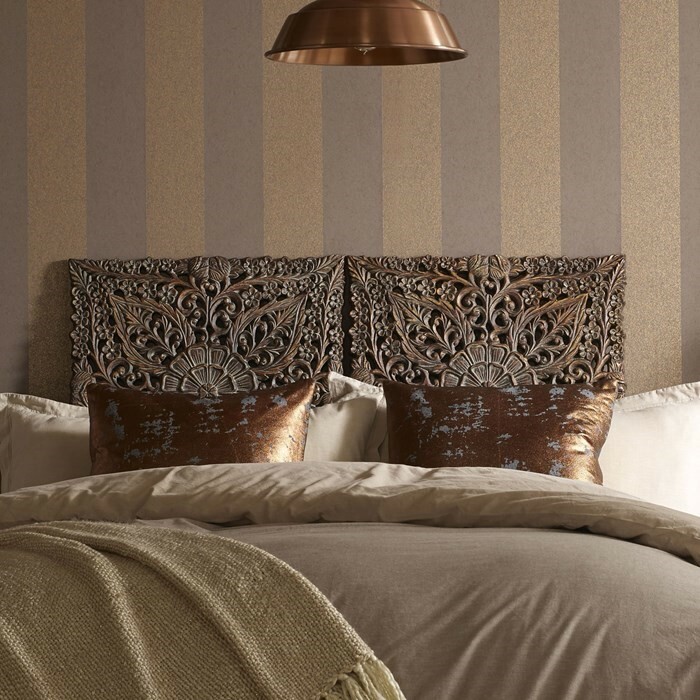 Our Linden black and copper wall paper design is the perfect example of how to create a sense of drama with metallics. 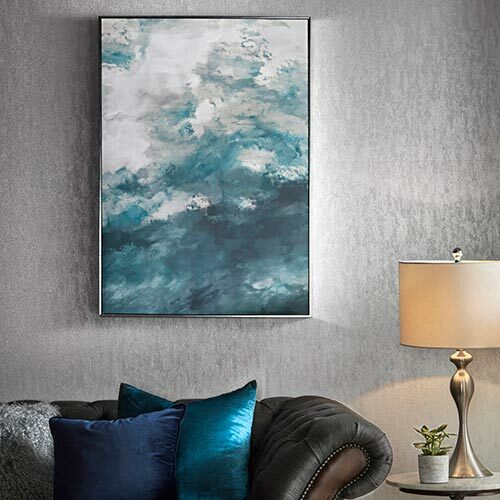 Our embellished ink canvas featuring high shine metallic copper sequins shows just how well metallics contrast with the dark blue canvas. If you aren’t ready for floor to ceiling metallics, start small with a few choice accessories. Our copper desk lamp provides the simplest way to introduce this trend into a workspace. 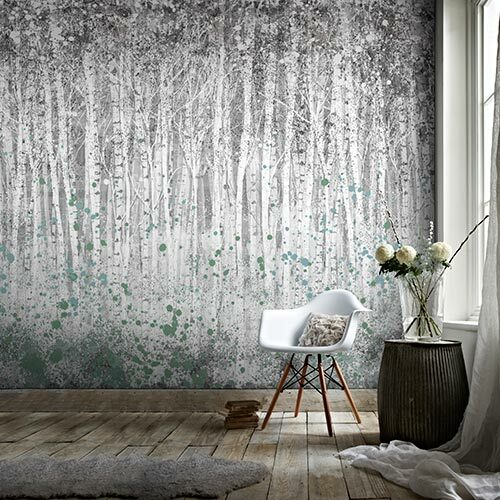 We adore the high shine finish of this piece that instantly draws the eye when you walk into a room. If you simply want to dip your toe in the water, this piece may suffice but for a more dramatic look cluster a few copper accessories together. For example, our floor lamp looks stunning paired with our striking copper lanterns. Our metallic cushions look great stacked on a bed or arranged on a sofa and offer both living rooms and bedrooms a fabulous finishing touch. 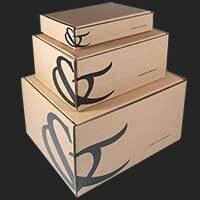 Accessories such as there are ideal as you can swap and change them around when you fancy a change. Copper catches the light and opens up a room making it appear bigger so it is no surprise that copper is the metallic of the moment. 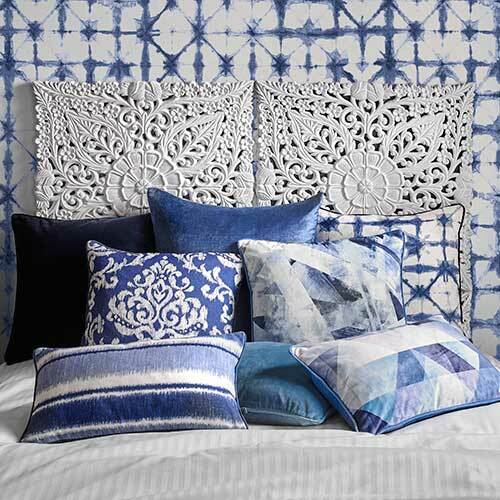 Use our tips to add a touch of shimmer to your décor.